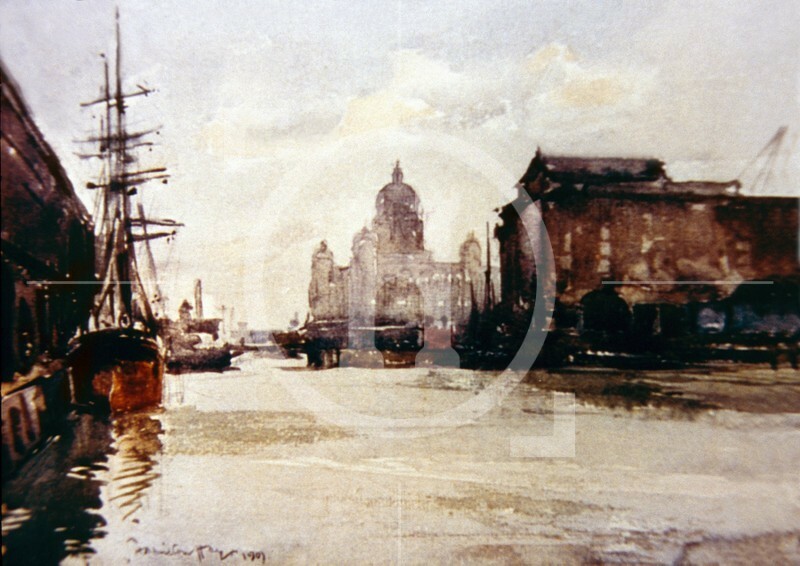 After the passing through Parliament of the Dock Act in 1841, construction of the Albert Dock quickly got under way. Engineer Jesse Hartley's magnificent design took over five years to complete and fittingly, it was opened by Prince albert himself in 1846. Grand celebrations accompanied the event, which was also the first ever state visit to the city by a member of the Royal family. Reflecting the greatness of Liverpool in the 19th century, this was the first construction built wholly of cast iron, brick and stone. This was important as the absence of wood meant the risk of destruction by fire was almost non-existent. Huge cast iron columns lined the quaysides while granite was transported from a specially opened quarry in Kirkcudbrightshire in Scotland and 23 million bricks went into the dock's construction. Built with the largest ships of the day in mind, and the ability to load and unload directly from the warehouses, its bays were soon bulging with goods from around the globe, such as brandy, ivory, sugar, tobacco and cotton. These efforts were supported by the world's first hydraulic cranes that were introduced in 1848.